PARIS (Reuters) - A French court found Swiss bank UBS AG guilty of illegally soliciting clients and laundering the proceeds of tax evasion, ordering it to pay 4.5 billion euros (£3.9 billion) in penalties. "The court can only conclude that (UBS) consistently put its own financial interests over the sovereign rights of the French state," the court's president Christine Mee said in her ruling. "Hence, the crimes are exceptionally serious," she added. The trial will be scrutinised by European bankers who have come under pressure from regulators to tighten compliance with money laundering rules since the financial crisis. "This is a clear signal to all financial intermediaries: you will be punished severely if you don't behave," said banking law professor Thierry Bonneau from Paris Pantheon Assas University. "They will have to be excessively prudent on all these questions of tax fraud." The penalties, which exceed the bank's net profit last year, included a 3.7 billion euro fine and additional damages of 800 million euros to the French state. UBS last month reported a 2018 net profit of $4.9 billion (£3.8 billion). "This decision is incomprehensible, we will appeal," UBS general counsel Markus Diethelm told reporters outside the courtroom. "We have seen no facts and no evidence." UBS was "systematic" in its support to tax-evading customers and that the laundering of proceeds from the tax fraud was done on an "industrial" scale, the prosecutors had told the court. UBS's lawyers have said the prosecution failed to show material evidence of specific cases of clients advised to evade tax payments. Under French law, those convicted of money laundering can be ordered to pay a fine totalling half the amount laundered. The prosecution estimates UBS's customers hid billions of euros from the French tax authorities. Prosecutors told the court that UBS's bankers would hand over business cards without any logo and used computers which carried software allowing data to be quickly erased. Lawyers for UBS have previously said the case had become politicised. The bank turned down a settlement offer of 1.1 billion euros. 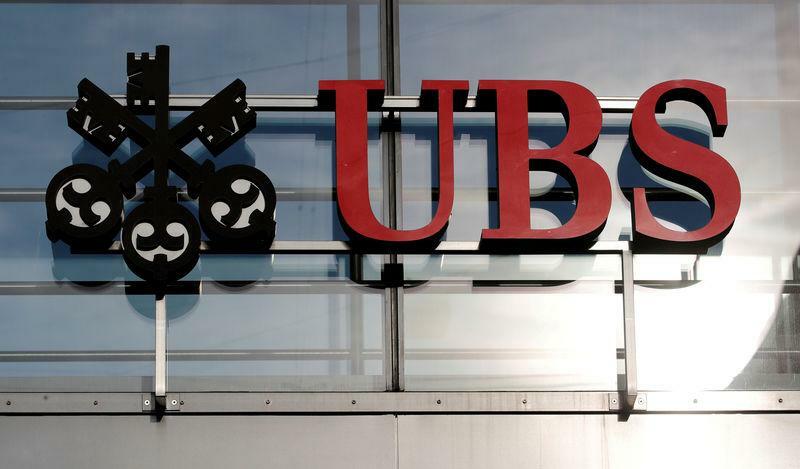 UBS's French unit was also convicted to pay 15 million euros, while five of the six former UBS executives charged were given suspended prison terms and fines ranging from 50,000 euros to 300,000 euros.